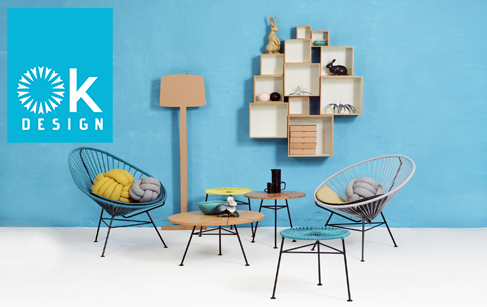 OK Design design and manufacture unique furniture with an eye towards cultural diversity. Founded in 2008, the company has its base in Copenhagen, Denmark, and operates production facilities in Mexico City and Cairo. Their young, dynamic firm is dedicated to producing high quality designs with a global narrative. The company’s Acapulco and Condesa chairs are manufactured in a tough Mexico City neighbourhood where high unemployment, drugs and violence are a part of everyday life. OK’s success has allowed them to move troubled young adults off the streets and into good paying jobs. Collaborating with their Mexican manufacturer they have established a clean and healthy environment where workers earn three times the minimum wage. OK Design ensure that men and women are paid equally and that no one is asked to work excessively long hours. In their effort to create the safest working conditions possible they have developed a special PVC for the plastic cord in their Acapulco and Condesa lines, free of phthalates and heavy metals which are hazardous substances used by other manufacturing firms.